In the latest installment of Psych Investigation Episodes, Jack and his foxes must face their greatest threat yet: the Reaper. After a number of brutal murders in Dublin prompts Jack to investigate, he is soon contracted by the United States Government to capture or eliminate this hostile Psych who's killing indiscriminately and has already taken out a number of operatives. In the latest installment of Psych Investigation Episodes, Jack and his foxes must face their greatest threat yet: the Reaper. After a number of brutal murders in Dublin prompts Jack to investigate, he is soon contracted by the United States Government to capture or eliminate this hostile Psych who's killing indiscriminately and has already taken out a number of operatives. This was one of the better books in the serious. All of the books are good, but this was especially good. It has the darkness that this series has, but it also has humor at all the right times. A new villain is introduced who keeps everyone on their toes. The characters have also developed a lot from where they first were and the changes are noticeable. 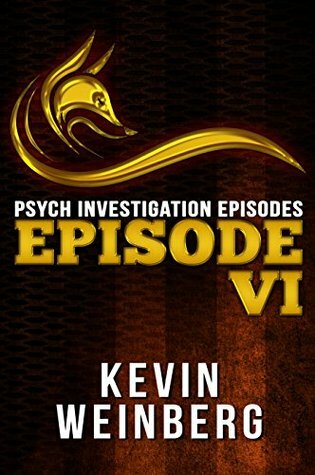 Kevin weinbergs trilogy, "the psych investigation episodes" have left me nothing but wanting more, the amount of action and pure brutality combined with amazing character development and relatable 1st world problems makes the psych episodes a must read for anyone.